Frans-Arne H. Stylegar er kulturhistoriker, arkeolog, urbanist og skribent. Han har utgitt bøker som Nieuw Amsterdam (2016) og Kaupang: The Viking Town (2004), og skriver fast for Klassekampen om historie og arkeologi. Hans mange fagartikler er blitt publisert i tidsskrifter og antologier i inn- og utland. Hawking as an aristocratic and royal hunting technique is an established fact in the Viking Age. But direct archaeological evidence for hawking are relatively scarce, not least in Scandinavia. A number of small copper alloy bells found in both graves and settlement contexts might provide a clue, however. In Scandinavian contexts, iron bells of various types are known to have been part of the horse equipment. For bells made of copper alloy, however, the interpretation differs – and varies. Small bells or rattles of type Rygh 593 were found in 11 different graves in Birka. In 5 of these the bells seem to have been associated with the clothes of the deceased. Gräslund interprets the bells as resulting from East Baltic influences, but she also mentions parallells from Frisian burial finds. Among the Latvian tribes, small bells could be hung from the copper alloy chains attached to the women’s costume. Copper alloy bells of similar types have also been used as part of the horse harness in the Baltic area (incidentally, a small copper alloy bell of type R 593 in the Borre ship burial seems to have been associated with a horse’s head gear). Reconstructing the original function from grave finds is one thing. Recently, however, small copper alloy bells have been found in settlement contexts in Scandinavia. The finds in question, from Uppåkra and Järrestad, both in Scania, seem to suggest a link between the bells made of copper alloy and hall buildings. This link points towards some kind of connection between the bells and aristocratic life. One possible connection is found in aristocratic hunting practices. Some copper alloy bells known from the archaeological record have been interpreted as hawking bells, i.e. 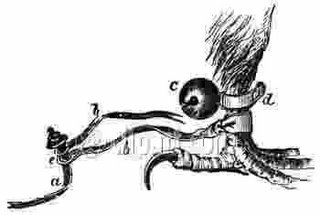 bells attached to one foot of a falcon or a hawk used for hunting purposes, and designed to make it easier to find the bird if it is tangled up in a bush etc. during the hunt. For instance, it has been suggested that the small copper alloy bell from the Sutton Hoo ship burial was worn by a falcon or hawk. The bell finds from Fröjel have been discussed in a similar way, while Maria Vretemark discusses the possible link between small bells and falconry in a more general way. 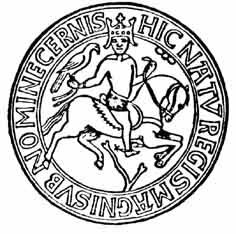 Nicholas Orme, writing of the education of the medieval Englisk kings and aristocracy, says that hunting came second only to fighting as the most prestigious physical activity. The earliest record of falconry in Anglo-Saxon England was the dispatch by St Boniface of a hawk and two falcons from the continent to King Æþelbald of Mercia in 745-6. Hawking as a highly developed form of hunting was established in continental Europe around AD 500 already, as evidenced by various Germanic laws. It was no different in Viking Age Scandinavia, where written sources record hawking in several instances. Thus, according to Frankish sources, Godfred, the early 9th century king of the Danes, was killed by his own son while out hunting, just as he was about to release his falcon from its prey. 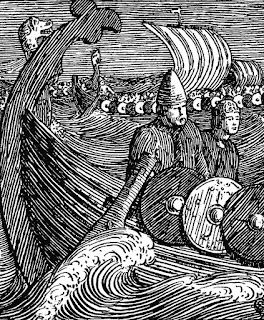 According to the Norse sagas, earl Håkon had to pay 100 ‘marks’ of gold and 60 hawks or falcons as tribute to Harald Bluetooth. Olav Tryggvason, on the other hand, is said to have plucked the feathers off his sister’s hawk in a fit of fury. The latter examples are from the 10th century. 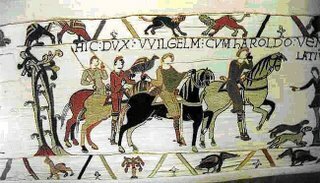 By the mid-11th century at the latest hunting falcons were being exported from Norway to England, as evidenced by mentionings in the Domesday book. Judging from finds of bones from birds of prey in cremation graves, however, hawking seems to have been practiced in Scandinavia almost as early as on the Continent. Lavishly furnished graves like Vendel III and Valsgärde 6 contains birds of prey, as do at least 14 other Swedish graves, dating from the late 6th to the 10th century. There are also a number of Continental finds of birds of prey in graves. In a cremation grave dating to c. 800 from Hedehusum/Süderende on Föhr, bones from a man, his dog and his falcon was salvaged. In a somewhat earlier grave from Staufen in Dillingen, a man had been inhumed along with rich furnishings, including a hawk or a falcon placed at his right hand. Pictorial evidence for hawking in Scandinavia includes the 11th century picture stones from Alstad, Toten (Norway), and Böksta, Uppland (Sweden), both of which show a mounted man with dog(s) and bird(s) of prey. The tapestries from the Oseberg ship burial (dated dendrochronologically to AD 834) also include a scene with a mounted man and two birds of prey, interpreted as either falcons or hawks. Reise-tema. Temabilder: DNY59. Drevet av Blogger.